It's the future! But is it your future? Nvidia’s GeForce RTX GPU for laptops has arrived, hot on the heels of its announcement at CES. Unfortunately, all the hand-wringing and chest-beating that surrounded the original GeForce RTX has followed. It may magnify further with the newest GeForce RTX laptop GPUs, as detractors look for more evidence that Nvidia’s pursuit of a hybrid ray tracing future is the wrong path. While it’s far too early to pass any judgment on GeForce RTX in laptops, we can at least walk you through the reasons you may actually want to buy a GeForce RTX-based laptop—or not. Put on your green t-shirt and queue up the ray tracing demos so you can rub your friends' faces in them. Yes, if you’re a fan of what Nvidia has achieved with ray tracing, here are some of the reasons you might just want to buy a GeForce RTX laptop. RTX is the fastest gaming laptop GPU in town! One of the biggest reasons to buy a new laptop with GeForce RTX is they’re likely to be faster than previous-generation laptops. For example, the MSI GS75 Stealth that we just tested, with an RTX 2080 Max-Q, is clearly faster than GeForce GTX 1080 Max-Q laptops we’ve seen. 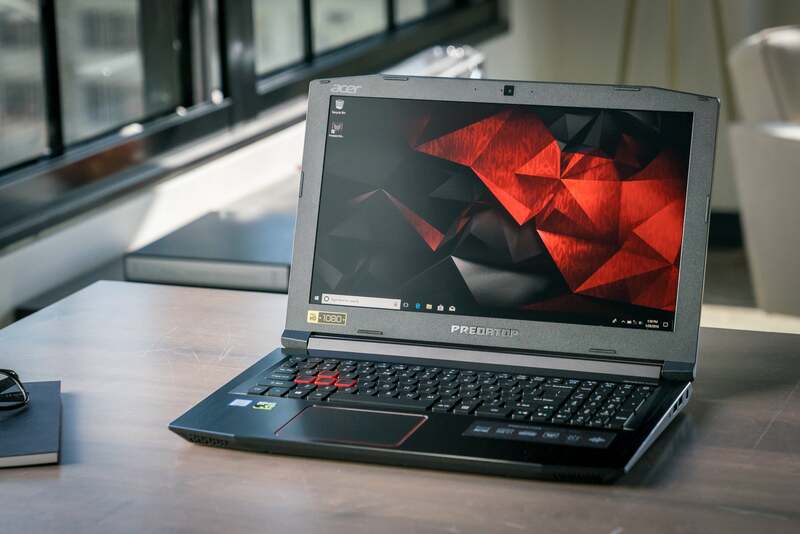 In fact, in several benchmarks, the GS75 Stealth is faster than laptops that weight 50 percent more and feature much hotter and power-hungry graphics cards inside. We suspect that in a burly beast like Alienware’s Area-51m, the GeForce RTX 2080 is going to sing. Much of that performance we’ve seen is based on today’s conventional gaming—that is, games that don’t use hybrid ray tracing. Even if ray tracing is the future, you’ll still be playing these games for a while. 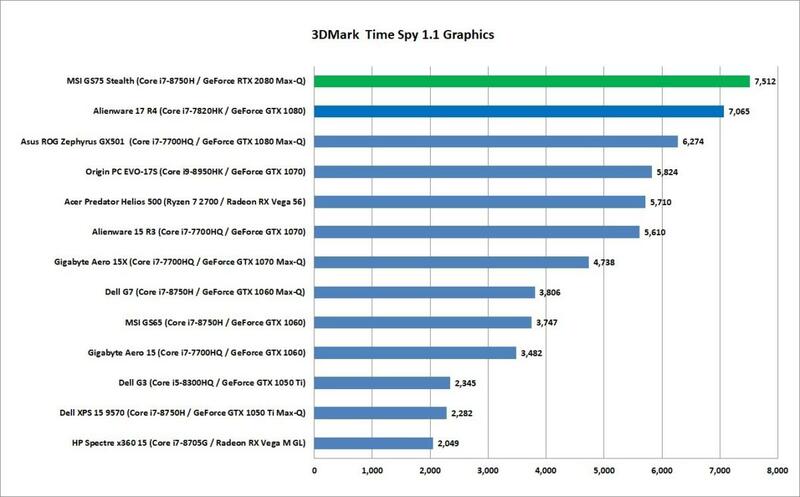 For example, check out the pure graphics performance results from 3DMark Time Spy, which gives the RTX 2080 Max-Q a definite lead over all other laptops we’ve seen lately. While we haven’t seen a full-tilt GeForce RTX 2080 laptop yet, we imagine that in, say, an Alienware Area-51m, that 2080 might sing. If GeForce RTX 2080 Max-Q outpaces all others, then you can probably safely assume the clocked versions will rock everyone’s world. While thin-and-light gaming laptops aren’t exclusively GeForce RTX-based, the push for making more of them is kicking into high gear with this generation. In fact, Nvidia said of the 40 laptops that support RTX, 17 will use the Max-Q version, which pretty much means they’re going to be thin. The thin-and-light gaming choices will simply be better on models with GeForce RTX. MSI’s GS75 Stealth is a great example of how you can get your large screen and powerful gaming without breaking your back. Ray tracing is the future! Hybrid ray tracing is either the future of PC gaming or its bane, depending on who’s talking. After seeing Nvidia’s hybrid ray tracing demos though, you’re sold. We’ve seen them too, and ray tracing represents a true night-and-day difference when fully implemented. 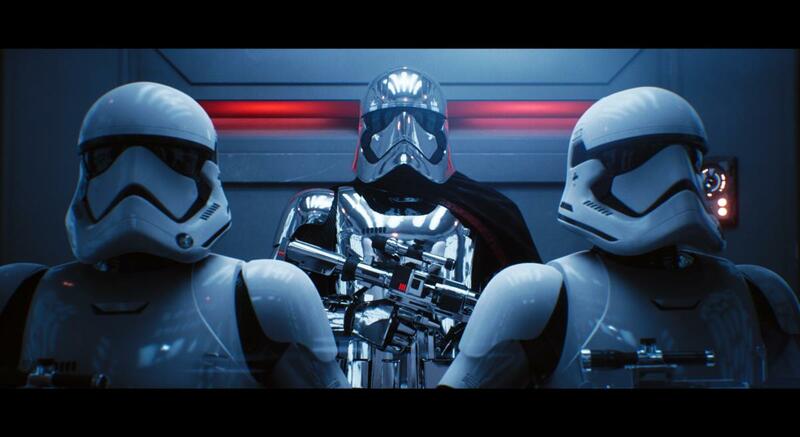 This Star Wars demonstration of hybrid ray tracing has at least some people believing in its future. Put simply, buying a GeForce RTX laptop “future-proofs” you for that shiny and reflective day, justifying the cash output now rather than later. The next chart, for example, shows how a GeForce RTX 2080 Max-Q laptop stacks up in 3DMark’s Port Royal ray tracing test. Sure, that’s not a stupendous score, but for all those other, non-ray-tracing laptops, 0 times 0 is zero. Here’s the argument for why the GeForce RTX 2080 Max-Q is infinitely better than laptops using last-generation GeForce graphics cards. One thing we haven’t mentioned is just how well-behaved a GeForce RTX Max-Q laptop can be. 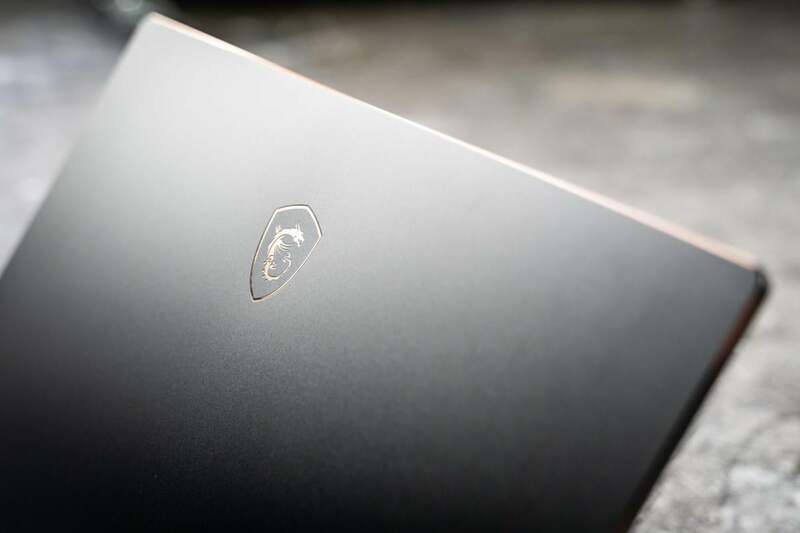 By well-behaved, we mean a laptop that’s so quiet, even when running a game, that you may wonder whether something is wrong—as we initially did when we tested the MSI GS75 Stealth. 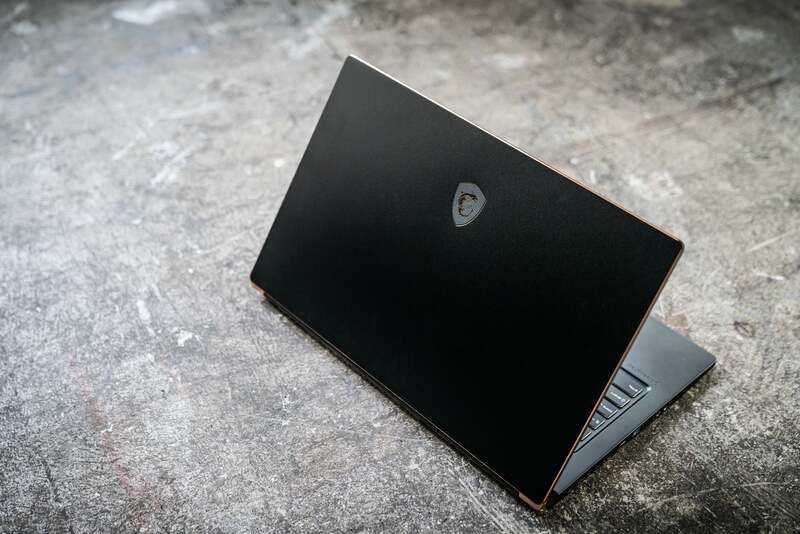 Not every GeForce RTX Max-Q laptop will be as discreet, but if you can find one that whispers while still belting out more frames than a GeForce GTX 1080, then that’s a win. You’d have a hard time believing the MSI GS75 Stealth is running at full speed thanks to the quiet fan configuration and the efficiency of he RTX chip inside. 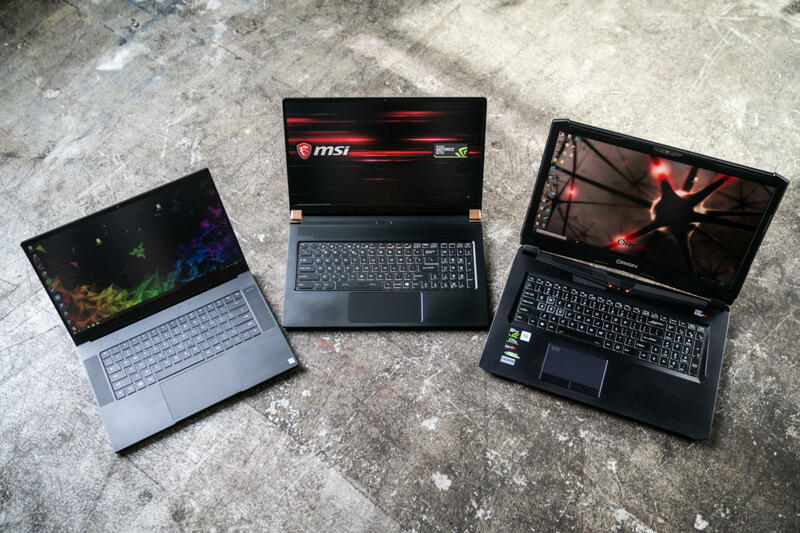 Despite being just under five pounds, the MSI GS75 with its new GeForce RTX 2080 Max-Q graphics chip easily outpaces laptops that weigh far more. We just gave you plenty of truly legitimate reasons to buy a new GeForce RTX laptop, but there are also plenty of reasons we can give you not to buy one. So let’s run through the fear, uncertainty, and doubt tree and ruin your RTX fantasy. For $700 to $800, it would really hard to convince us that a GeForce RTX 2060 laptop is worth savings over a GeForce GTX 1060 laptop. 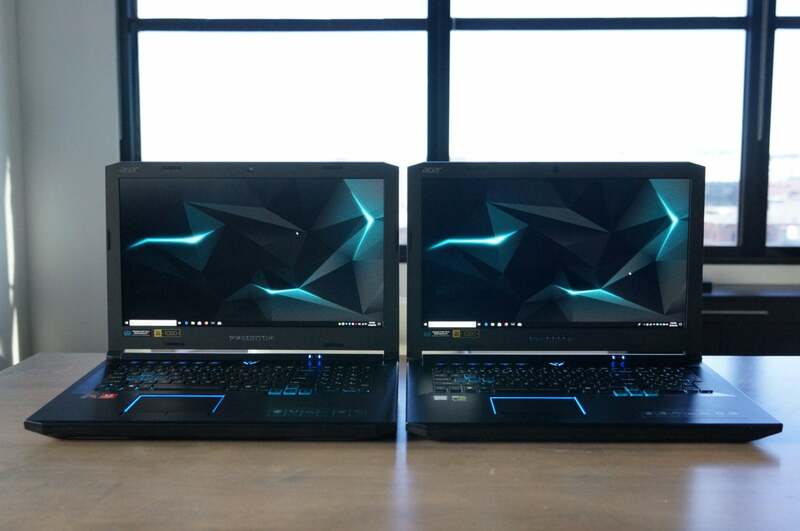 Although Nvidia has never disclosed the price difference between the older 10-series laptops and its new 20-series laptops, we’ve had vendors tell us that it’s not the huge sticker shock desktop gamers got. In fact, around a hundred bucks is what we’ve loosely settled on for the price difference. But we also know know that laptops with GeForce GTX, not RTX, are where the deals are today. Here's a example: We reviewed Acer's Predator Helios 300, a steady bestseller on Amazon. It comes with a 6-core Core i7-8750H, 16GB of RAM, 256GB SSD, 144Hz panel and GeForce GTX 1060. It's been available all day at $1,100 and often bumps down to $1,000. 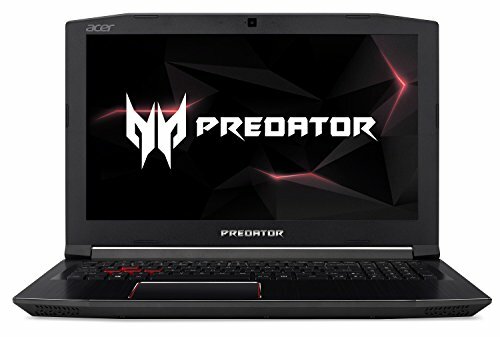 The nearest competitor is likely Acer's Predator Triton 500 which has the same CPU, and same amount of RAM as the Predator Helios and same resolution and refresh panel too. The key spec difference is the larger SSD (512GB in the Triton 500) and the GeForce RTX 2060 GPU. Hey, we're fans of new technology and call but, uhh, $700 every day and $800 on sale days for that Predator Helios 300 is nothing to sneeze it. That's almost enough to buy a smaller, lighter ultrabook just to carry around with you or a most of the cost of a gaming desktop. 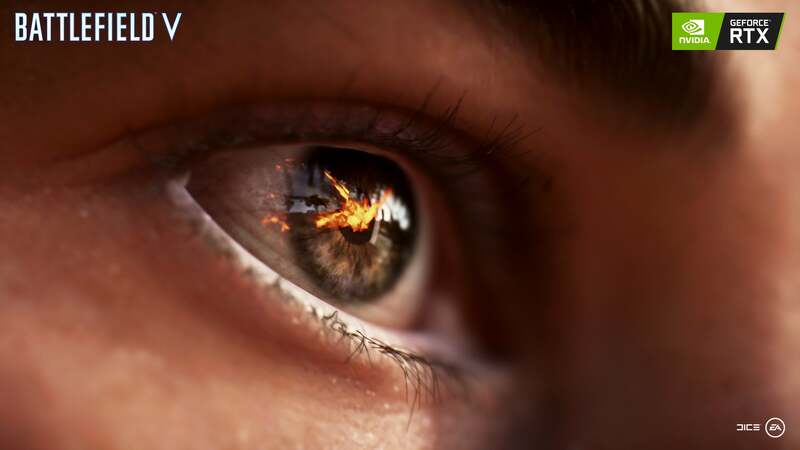 Besides the ray traced flames in this demo shot from Battlefield V, there may be a little tear forming too because of all the hate over RTX. As a certified hater of all things ray tracing, you’re sure this is going to fizzle out. 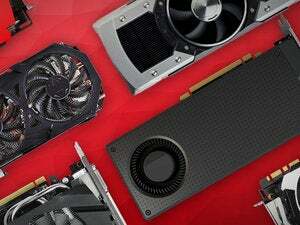 Those who buy into RTX are going to be left with expensive GPUs and nothing to do. While that’s probably going to make some fans of technology and PC gaming sad, everyone is entitled to decide how to spend their cash. So hate on all you want. AMD’s Vega 56 GPU got some love from Acer’s Predator Helios 500, and it may just be a hint of what’s to come. AMD CPUs have rocked Intel’s world the last few years. 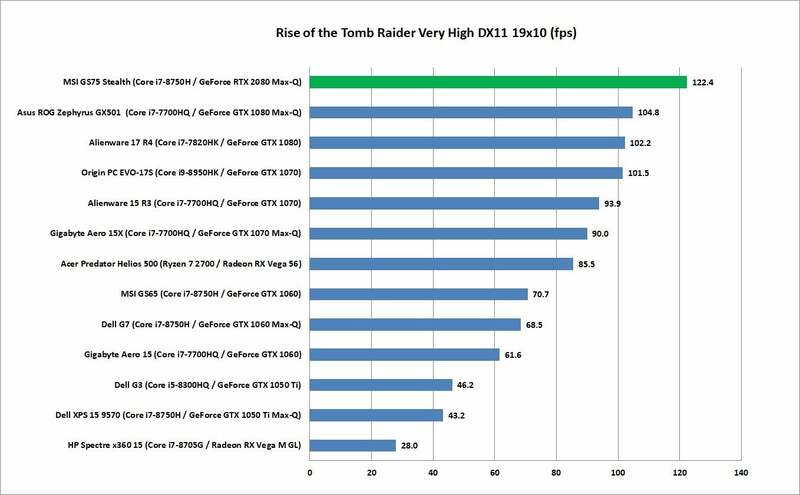 Many expect the company to finally get back into the graphics game enough to hassle Nvidia too. 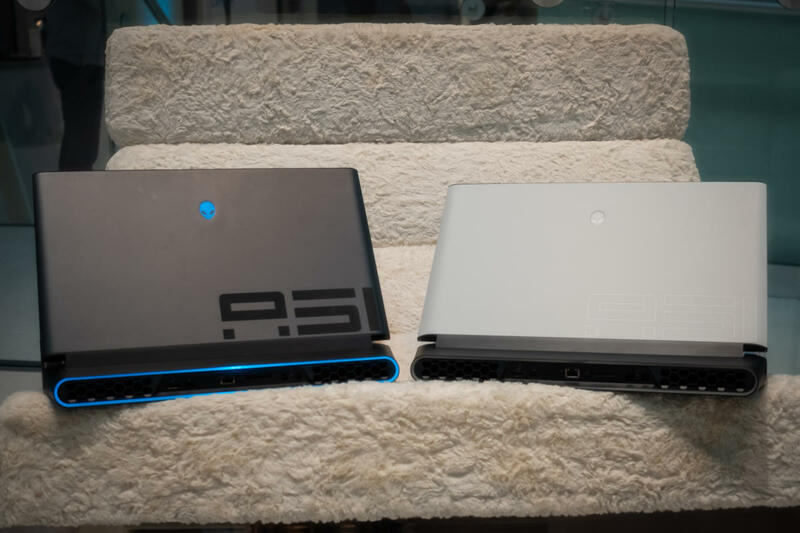 Whether that extends to gaming laptops—particularly high-end ones—anytime soon is an unknown. But with the company’s Radeon VII breaking cover, maybe, just maybe, this will be the year we see some serious competition. Nvidia’s new GeForce RTX laptop GPUs are the same as their desktop counterparts, but with clock speed penalties due to heat and power limitations. While desktop RTX performance on conventional games is simply splendid, the unknown is how well it will translate across all of the the different laptop GPUs, and across future shipping games with RTX support. What we do know is GeForce RTX parts are mostly transplants of the desktop versions in feature set. Where they fall behind is in power and thermal limitations. That’s a fancy way to say slower clock speeds. For reference, we compiled the public information Nvidia has released on the new GPUs. As you can see in the chart above, there’s a pretty massive difference between desktop and laptop RTX. A GeForce RTX 2080 can have a boost clock as low as 1,095MHz, technically, compared to a desktop’s 1,800MHz. Those swings will vary from laptop to laptop based on design. After flipping on the DirectX Ray Trace switch with Battlefield V on a $3,000 MSI GS75 Stealth with GeForce RTX 2080 Max-Q, we saw performance go from 90 fps to 45 fps. That’s just painful. 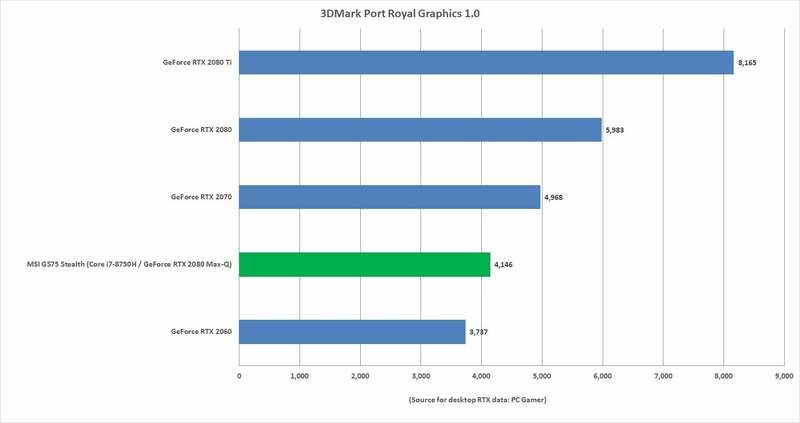 Running 3DMark’s Port Royal Ray Trace test also put the GeForce RTX 2080 Max-Q uncomfortably close to the desktop GeForce RTX 2060. These might be early hardware bugs to be shaken off, but if you’re the kind of nerd whose glass is half-empty and shattered on the ground, you’ll likely want to wait and see how full-power RTX laptops perform. 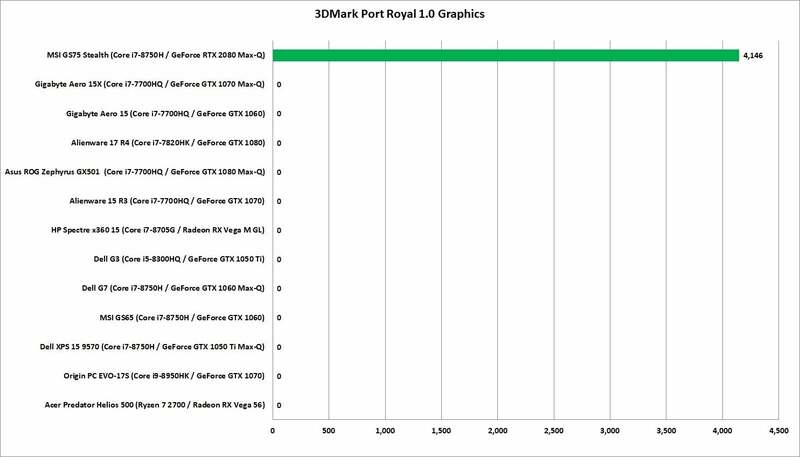 Here’s how the GS75 with its GeForce RTX 2080 Max-Q stacks up against desktop GPUs in the new 3DMark Port Royal test (source for desktop data is PC Gamer).